You deserve quality, professional hair care - plus special attention. That's what you get at OASIS for Hair. I absolutely love and recommend Oasis for Hair. They did the hair for me and my wedding party last year and I was so happy with the result. I felt so beautiful, so special and I looked like a princess. They're the best! Kellie, Kambah, ACT. We're now open on Mondays from 9.15am to 2.30pm! Welcome to OASIS for Hair! OASIS for Hair is one of Canberra's best known and best quality salons. We are conveniently located at the Waramanga Shopping Centre, Damala Street Waramanga. There is ample free parking right outside the salon and we are next door to a bakery and alongside a post office, newsagency, chemist, supermarket and doctors surgery. At OASIS for Hair we are committed to providing you with the most professional hair care and styling services available in Canberra. Our professional, friendly team at the bright, stylish and relaxing OASIS for Hair believe all our clients are entitled to the most memorable hairdressing experience possible. We take the time to give you a personal consultation that ensures you to get the look you want, every time. Have a complimentary cup of freshly brewed coffee or tea while we pamper you and make you feel special. Why not have a relaxing scalp massage while we treat your hair to the very best in moisturising and protein treatments. At OASIS for Hair we run on time to keep you on time, so if you're in a hurry can have you in and out in no time and you'll feel great. At OASIS for Hair we're never happy until you're happy and we guarantee you'll leave the salon feeling better than when you walked in! Come and see us today at OASIS for Hair. To thank you for visiting the OASIS for Hair website we'll happily take 15% off the price of our quality hair services on your 1st visit with us. Simply mention the website when making your first appointment with us. Phone OASIS for Hair on (02) 6288 1535. OASIS for Hair is your wedding day and formal night specialists. 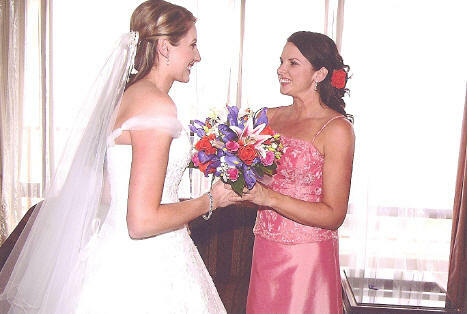 Speak to one of our friendly team to discuss the look you want for your special day. We can't guarantee good weather, but we promise to give you the look that will make you feel like a princess. OASIS for Hair stock a large range of quality hair care products. OASIS for Hair Loyalty Cards. The more you visit OASIS for Hair the more you'll save! We now offer all our valued clients an OASIS for Hair Loyalty Card. The card allows you to save on future visits with us. Ask one of our friendly team about all the benefits of an OASIS for Hair Loyalty Card. OASIS for Hair Gift Vouchers - now available! 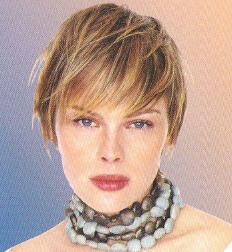 OASIS for Hair gift vouchers make a great birthday, wedding or other special occasion gift. Ask one of our team about tailoring a gift voucher for your needs. At OASIS for Hair we pride ourselves on giving you the best hair care experience possible - but don't just take our word for it, see what some of our valued clients say about us! Read our testimonials. 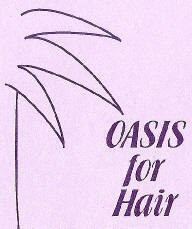 OASIS for Hair is proud to have been part of the Canberra Community for over 20 years. We support many local charities, raising almost $3,000 for the 'World's Greatest Shave' (Leukaemia Foundation), as well as raising funds for the Breast Cancer Foundation, The Rosary Roundup 2007, and the ACT Bush Fire Bash. Quality hair services for women, men and children.